Choosing new windows, doors or a conservatory is one of the most important investments you’ll ever make in your home. So, naturally, you’ll want to be sure that you choose the best. Windows 4U is a family run business specializing in UPVC windows doors INCLUDING FRENCH DOORS, PATIO DOORS and conservatories. You will always be dealt with on a personal level by a family member who of course will have a vested interest in the satisfaction of each and every customer. Windows 4u has been established since 1997 and has a satisfaction rate second to none. Choosing new windows doors and conservatories is one of the most important investments you’ll ever make so naturally it is important to choose the best, not only the best product but the best service and price. ALSO, WE UNDERTAKE ALL BUILDING WORK. Each one of our conservatory designs is tailor-made to be the perfect addition to your home - adding both space and value. Whether you're looking to increase your living space or wanting to enjoy your garden view all year round, let us help pick the perfect conservatory for you. 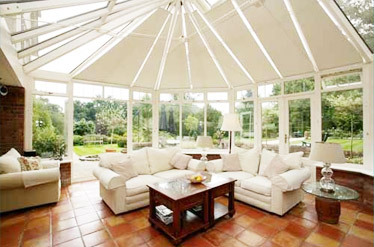 We can organise all your conservatory needs from start to finish giving you the customer confidence in our expertise. Windows Design your own window to suit your desired look for your home. With our varied range we can not only offer a choice of profiles but also a new and exciting range of colours. We have the door to suit all requirements. GRP Composite Range Need we say anymore??? The door of all doors, choose a door as unique as you with an extensive variety of options to choose from. Police approved, make your home safe.